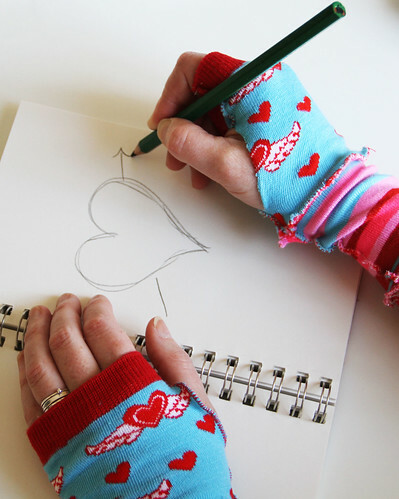 It is time to start Valentines Day crafting and while I am REALLY resistant to Valentines Day (I don't like anyone telling me when and how to celebrate love) I still enjoy all the fun supplies and heart themed things that can be altered, used in crafts and made into something new! 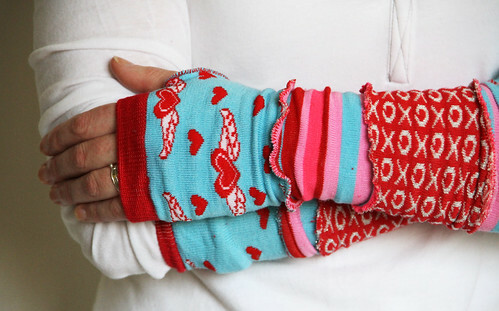 When I came across these fun Valentines Day socks in the Target dollar bin I couldn't resist buying a handful to transform into some cute arm warmers. This would be a fun kids project or if you are a little funky and whimsical (like yours truly) a great adult project! 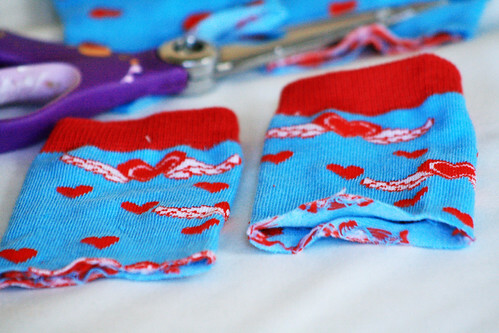 Start by cutting up the socks into sections. Then cut down the side of each section to open up. 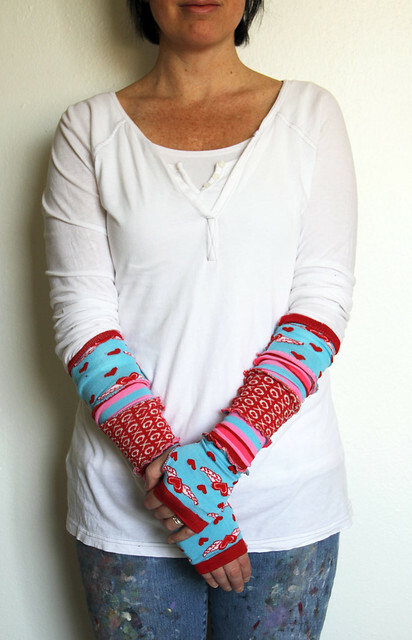 Make sure it fits around your arm or wrist by wrapping it around your wrist. 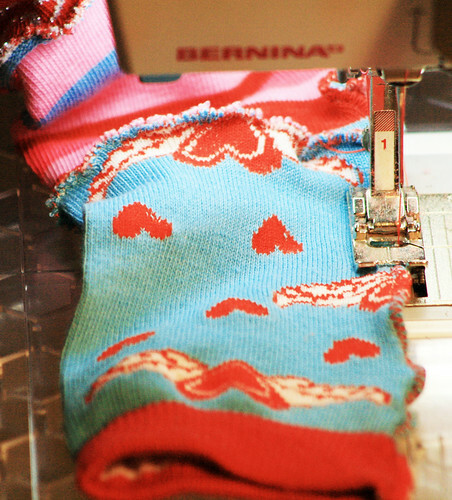 If the size is too small, you will need to have enough excess sock fabric to stitch together to create a larger fit (EX- you could stitch two sections together to make 1 large piece) but most socks out there are really stretchy and should work fine. 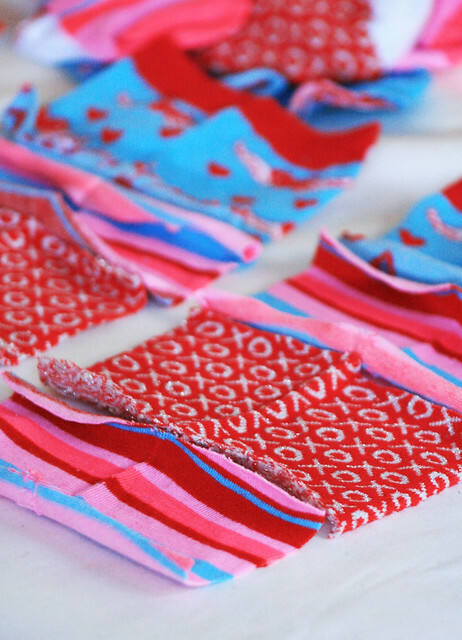 Lay out the different strips- alternating color and pattern. Now it is time to sew! 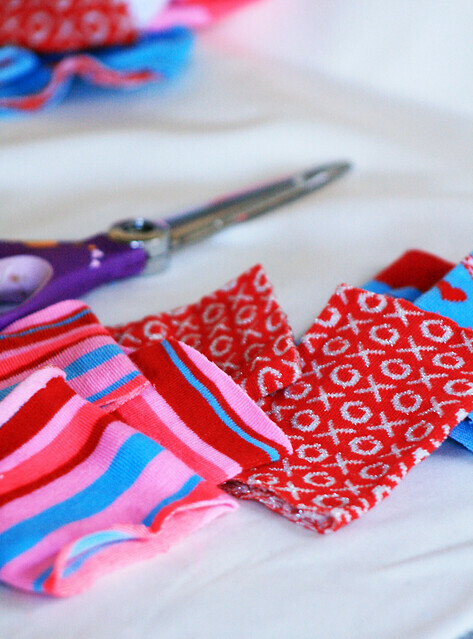 and I started sewing each section together. I like my stitching on the outside so I used a zig zag stitch along the edge. 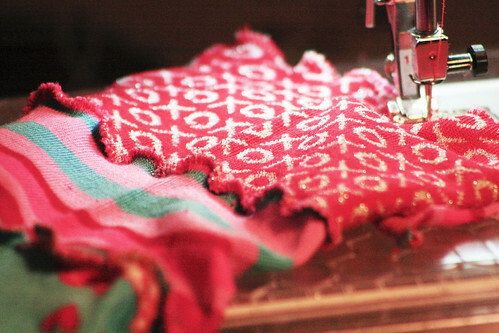 If you don't like your stitching on the outside simply sew on the inside. 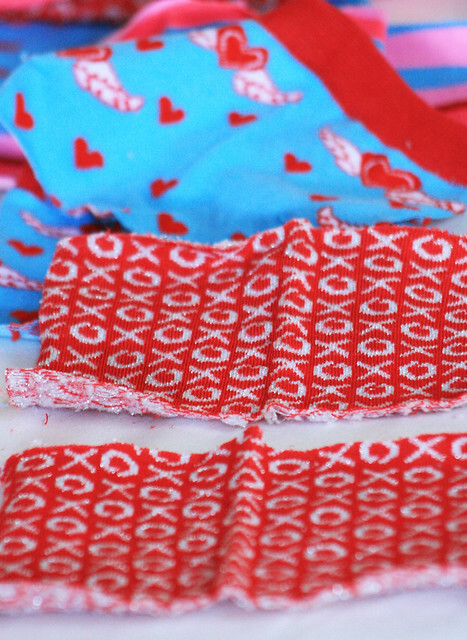 I continued to add each strip of pattern- a total of five for my arm warmers. Last I folded it in half and sewed up the side- again with the stitching showing on the outside. I left a thumb hole on each side near the top- optional. Only you would think of this! I love it, so creatively cute! I just love this! What a fun project! I love these. I have to run to Target for socks, now. Simple. Easy. And you always make it look like so much fun! What a lovely and warm idea! Now I have to go to Target ... gee thanks ;) My daughter will love these, which means I have to make some for her girlfriends. If I do I will link in a blogpost ... and probably send you a tweet too. Thank you Alisa! I've also seen cute socks at Target and they're too small for me, too large for baby granddaughters and this is such a cute idea! Also, have some in my drawers I don't wear and was going to donate-but now I'm going to sew! So cute! I just crocheted a pair for myself, but they are not nearly as cute as those! I may just have to try this project. Adorable. Aurgh! I saw those in the dollar bin, along with the ROBOT KIDS SOCKS that were TOO SMALL for me (grr). 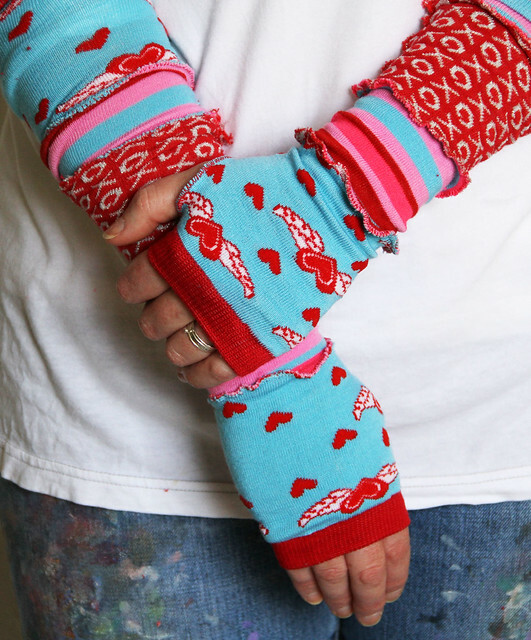 Maybe I'll return and grab a couple of pairs to make arm warmers... Thanks (as usual) for the inspiration! Adorable! I love them. Target here I come! Cute cute cute! 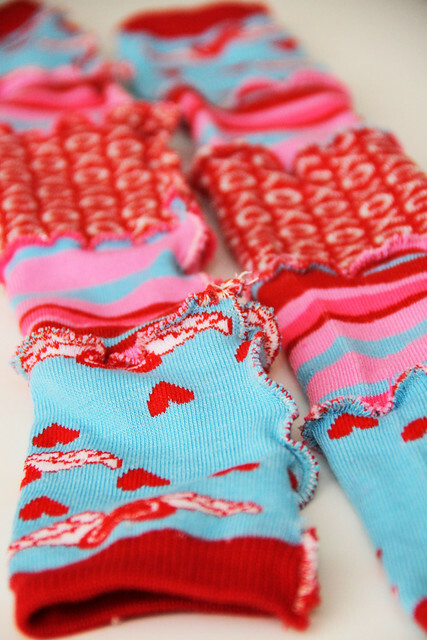 I love the way these look - so bright and colorful and you don't even have to wear them just around Valentine's Day! Great project! How fantastic! And Target always has new seasonal socks, what a great idea for year round! I SEW l-o-v-e these!!!!! Thanks for the inspiration!!!! Love your stuff!! You are such an inspiration! Thanks for posting your tutorials! How clever are you...I love the dollar bins at Target, JoAnns and Michaels...oh the possibilities. yup. totally cute! and appropriate for our cold evenings! thank you these are cute. I just awarded you the Stylish Blogger Award. Check my blog for details. what a fabulously fun idea! i'm going to have to try this with my girls this weekend. we saw some of those socks at our target and since they were too small for the girls, passed them by. now....back to target! What a fantastic idea. I am definitely going to make some of these for winter. Target is probably wondering why there is a sudden run on these socks! LOL! Thanks! My 10 y.o daughter and I made them this evening - thanks for the inspiration! 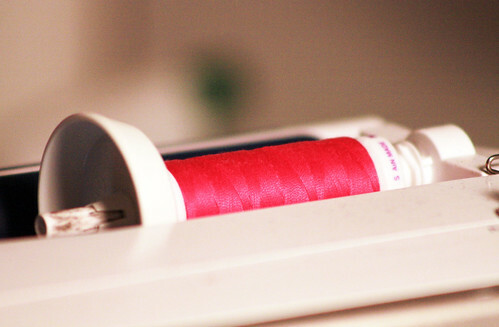 We didn't slit them open, we just cut them into loops and sewed the loops together. 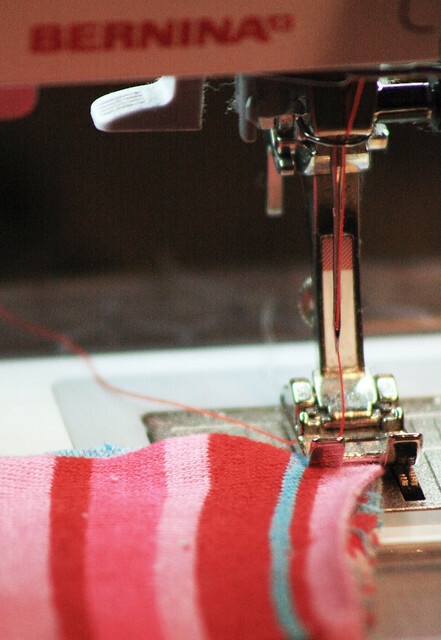 I don't have a serger (and my zigzag stitch is broken on my machine!) so we just let the edges curl up, but they are very cute. 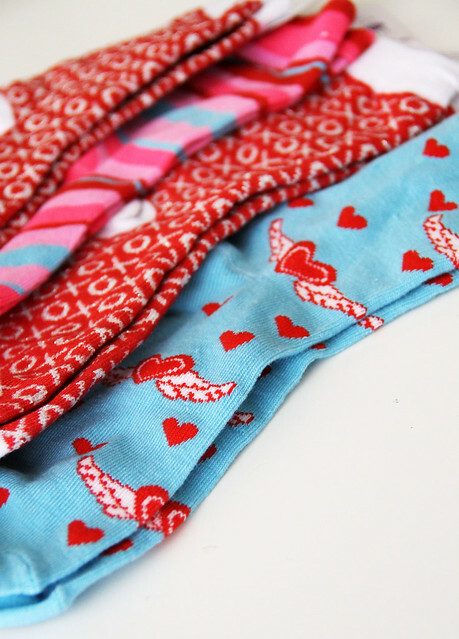 They will go perfect with the pillowcase dress she made for Valentines day! Valentine's Day brings in the season of watching some romantic, passion filled and ardent movies with your darling. A candle light dinner, soft music, dim lights and a romantic movie are the main ingredients. Alisa, These are too cute and what a great simply idea! Thanks.